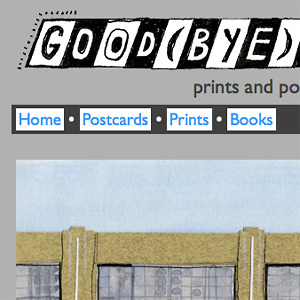 Good(bye) Buildings Website (detail), www.goodbyebuildings.com. 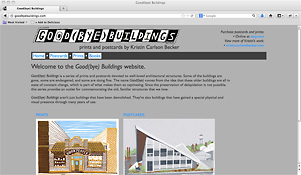 I collaborate with my husband and design partner, Devin Becker, on web commissions. 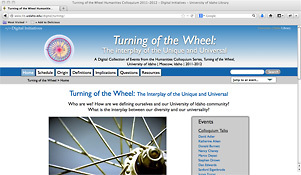 Devin is the Digital Initiatives librarian at the University of Idaho Library and has built numerous sites to feature the university's expanding digital collections. 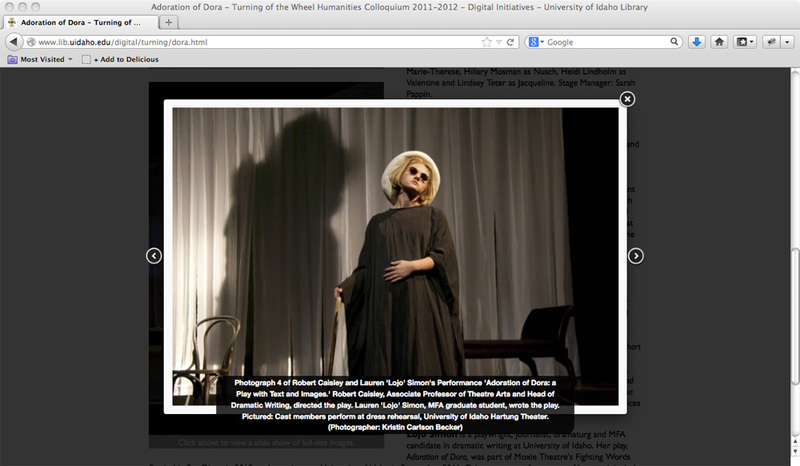 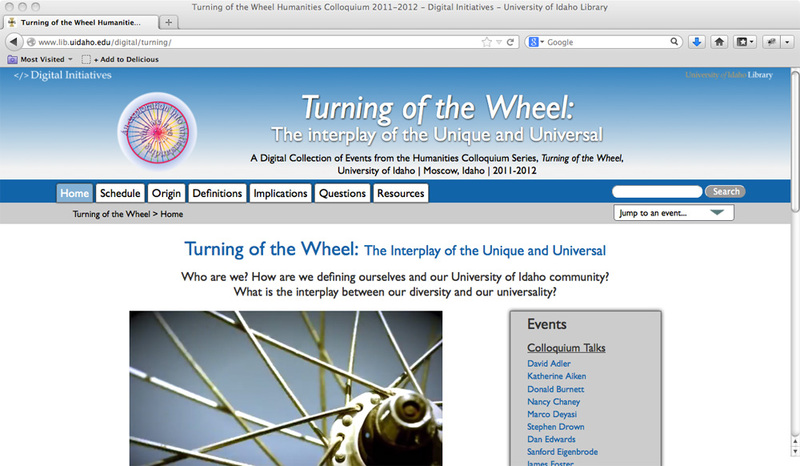 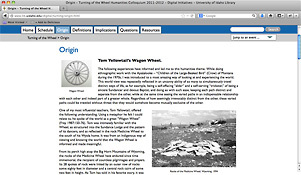 Our most recent collaboration is a website archive for the 2011-2012 Turning of the Wheel Colloquium Series at the University of Idaho. 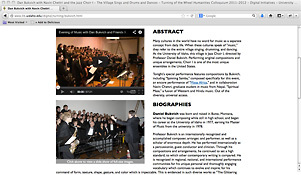 The website showcases the documentary photos I was commissioned to take of the year-long series, along with video and transcripts of each event. 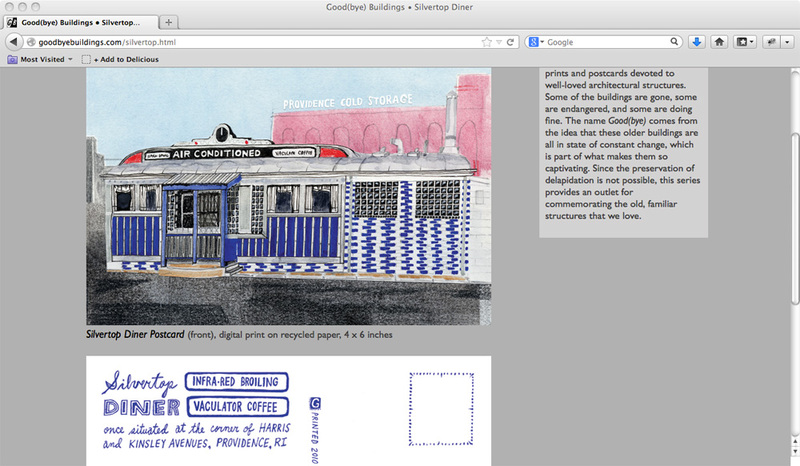 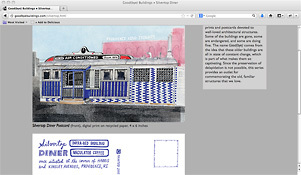 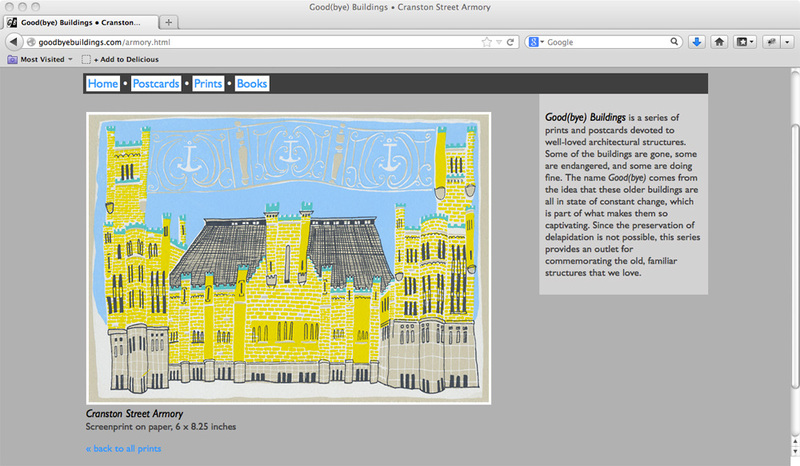 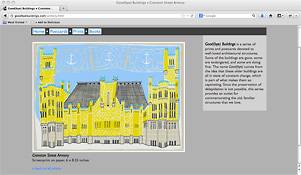 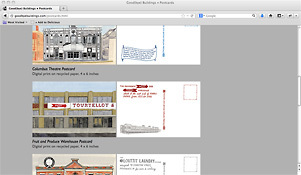 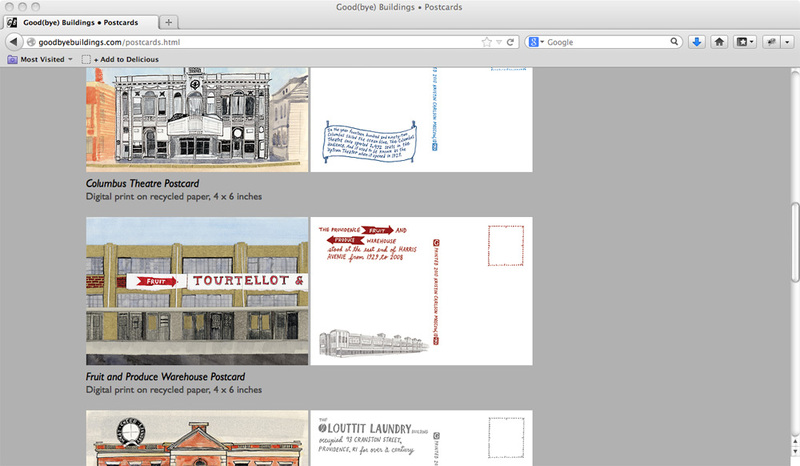 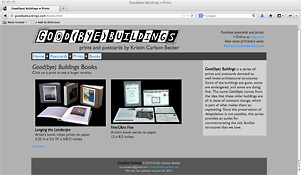 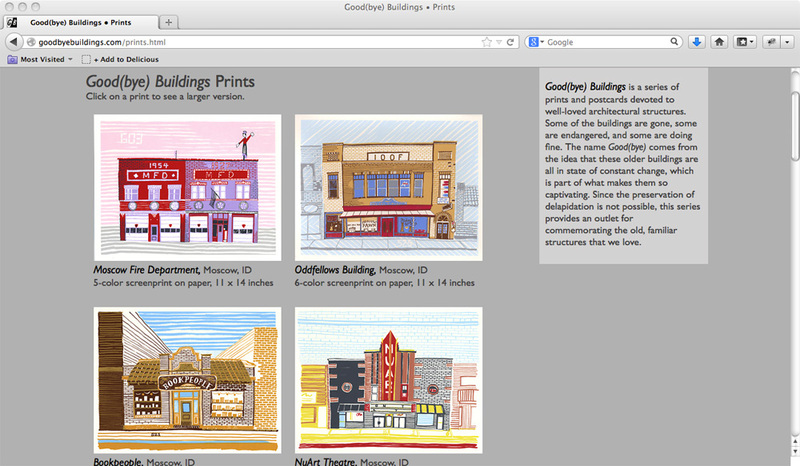 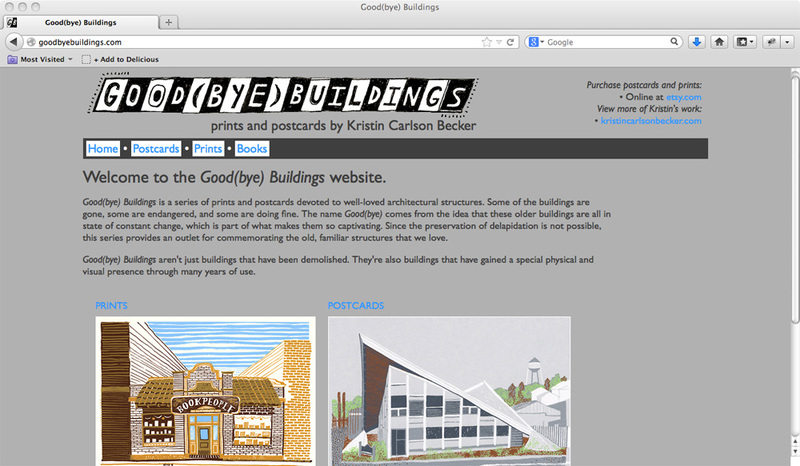 I have also designed and maintain my personal websites, including this site and goodbyebuildings.com, a separate site devoted to my prints and postcards about well-loved architectural structures. 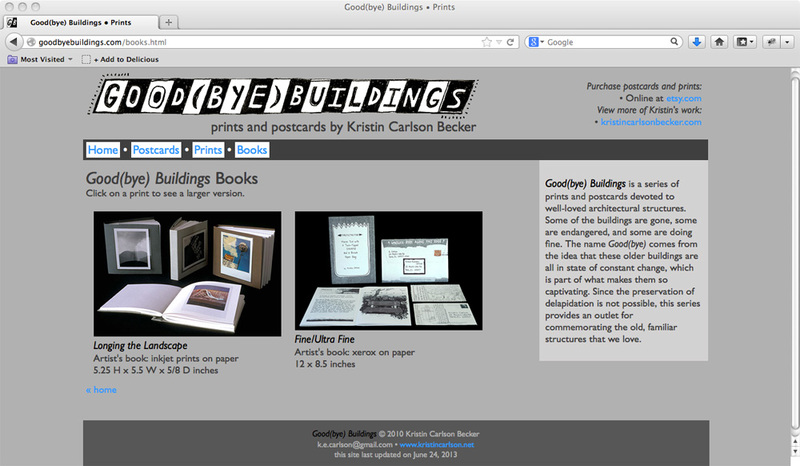 The best way to view examples of my web design is to view the sites themselves: Turning of the Wheel and Good(bye) Buildings. 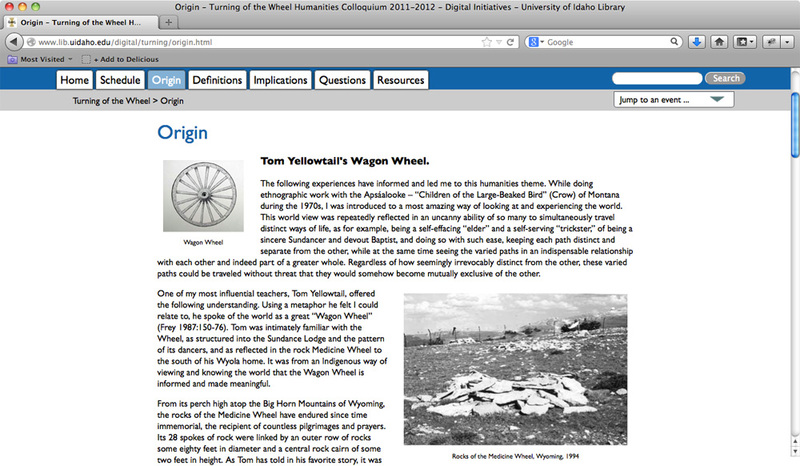 You may also click on any thumbnail below to begin viewing screenshots of web design in the image viewer. 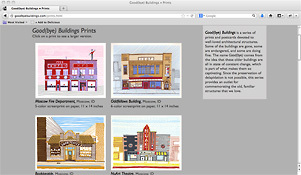 Click on any thumbnail above to begin viewing screenshots of web design in image viewer.